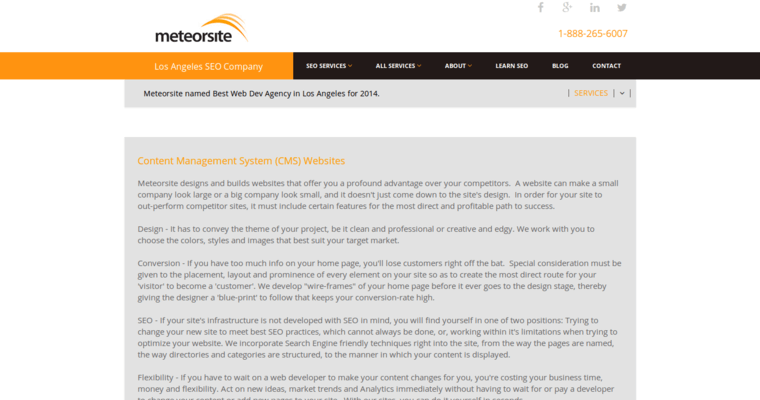 Meteorsite is a SEO and digital marketing agency that was founded in 2002 and is based in Los Angeles, California. 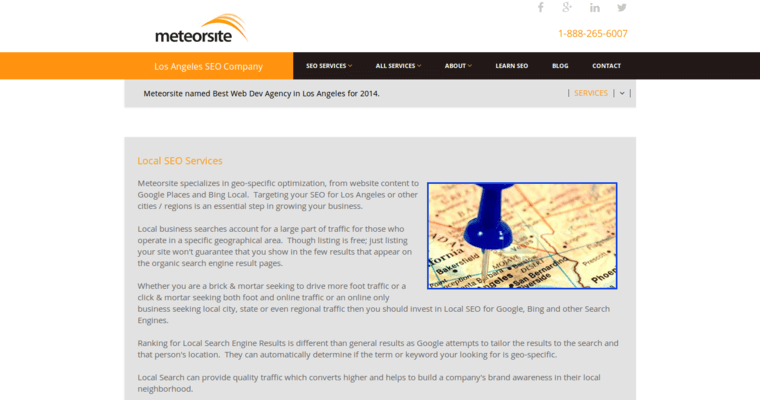 This agency offers solutions in digital strategy, marketing design, and SEO and conversion. 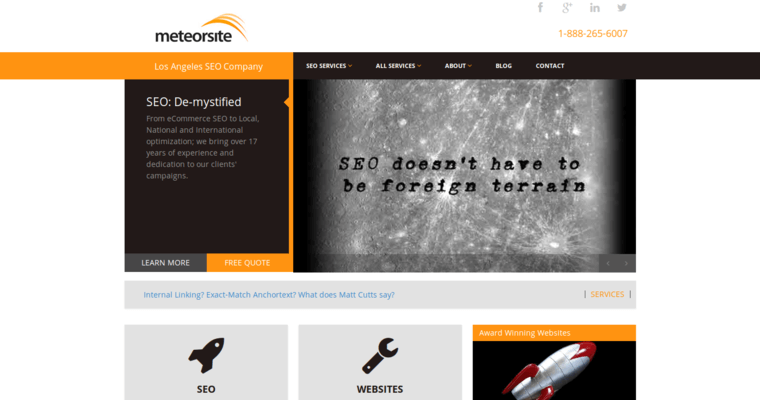 Meteorsite also offers a host of extensive services and products which include the following: Search engine optimization Site analysis Topical identification Segmenting and building Keyword research List building Competitive analysis Link audit Optimization of content Optimization of site code Custom site map creation Search engine and directory submissions E-commerce integration Social Network integration Flash Demonstration integration Newsletter module development Meteorsite has worked with a variety of notable clients including Lightning Flash Publishing House, Rhia and Daniel Media Group, and Antony Robbins Development Agency.